Elle has been promoting The Beguiled lately, and several Youtube channels have shared new interviews about the film. 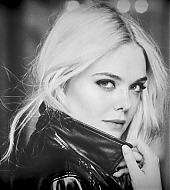 She talks about taking advantage of her southern roots to bring her character to life, how she got attached to the project, playing the bad girl and more. A new trailer for the animated movie Leap! has been released! 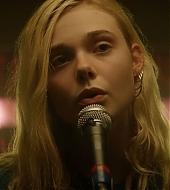 Elle voices Felicie, and other voice actors include Dane DeHaan, Kate McKinnon, Nat Wolff, singer Carly Rae Jepsen and dancer Maddie Ziegler. Elle was photographed in Los Angeles yesterday and again today, and our gallery has been updated with the images. In a new scene from The Beguiled released by Entertainment Tonight, the women in the boarding school discuss what can be learned from the experience of having a male presence in their household. It focuses mainly on Nicole Kidman and Elle, and you can watch it below. Elle was photographed while running errands in Los Angeles yesterday! Our gallery has been updated with the images. New photos of Elle for L’Oreal Paris have been shared on Instagram! We’re still not sure whether these are for a specific campaign, or just a promotional photoshoot for the brand – we’ve added them as the later for now. Elle was sighted in Studio City yesterday while walking her dog, Lewellen. Our gallery has been updated with the images! Thanks to our friends from ellefanningbrasil.com for sharing them! Hey guys! I’m sure some of you were wondering about what was going on with this site during the past month, as it was offline for a few weeks. Our host’s old server was acting out, leaving the site slow to browse and with a lot of down time. We tried moving it elsewhere, which didn’t work. Finally, our host got a brand new server, and we’re back home. Everything seems to be going smoothly so far, so we’re hoping we won’t go down again anytime soon. Of course, since we’re talking about Elle, a few weeks offline means a lot of missed updates. I believe most pictures of that time have already been added to our photo gallery, including the premiere and press conference for The Beguiled, which premiered earlier this week. Have any of you watched it yet? Now, since we’re pretty much all caught up, our regular updates will resume. There are candids and new L’Oreal info coming our regularly, so we’ll start with those! 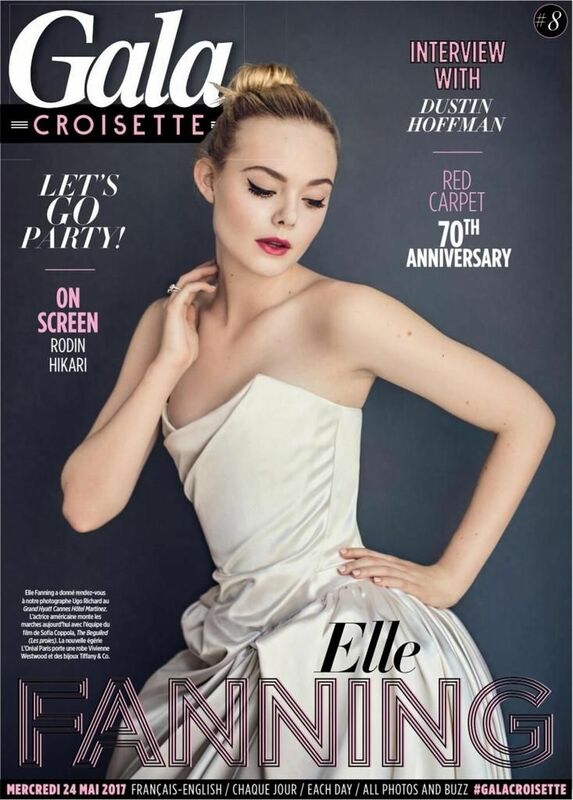 Elle is on the cover of Gala Croisette! This is the magazine’s 8th issue, and the cover photo features Elle posing in her beautiful Vivienne Westwood gown – the one she wore for the 70th Annual Cannes Film Festival opening gala last week! Remember the pink unicorn on the tail? Anyway, our gallery has been updated with an image from the magazine, and hopefully more will be shared online soon.